Our non-invasive air duct cleaning system allows us to remove dust that has collected in vents quickly and efficiently, ensuring further cleanliness of your home. 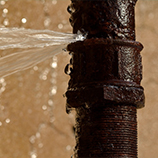 If too much dust has built up in your heating or cooling system, it can cause your system to not work properly. Air polluted with contaminants circulates within the system and gets pushed throughout the home. Stop the continual flow of dirt and dust in your home and take advantage of our ductwork cleaning services today. 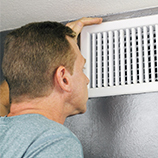 Maintain your indoor air quality by routinely cleaning your vents. If you are noticing visible signs of mold growth or significant dust buildup, schedule a duct cleaning immediately. Mold can cause further harm to your home and your health and can spread quickly. A significant amount of dust may not be severe enough to drastically reduce efficiency, but it does endanger your indoor air quality. The presence of any vermin in your air ducts is yet another definite sign that your home needs duct cleaning immediately. Our cleaning products remove dust from your vents and ensure a better working heating and cooling system. Our home cleanup team can get deep into your vents and clean out all that dust that you can’t see. Call All Clear now to take advantage of our free in-home consultation. We promise quality backed by years of industry experience, and we serve Independence, Parson, Joplin and the surrounding areas.